Enter your room dimensions to see how many square yards of sheet vinyl you'll need. Ready to install? Flooring contractors are ready to talk. *20% allowance for waste is included. This is an estimate. What Widths Do Vinyl Floors Come In? Why Install Sheet Vinyl Floors? DIY Or Find A Flooring Contractor? To figure out how much sheet vinyl you need for your flooring project, all you need is our vinyl flooring calculator above. Simply enter in the width and length of your room, and ImproveNet’s sheet vinyl flooring calc will display exactly how many square yards of vinyl you need (assuming a 20% waste). Of course, if you need help along the way, or are ready to install your new vinyl floors, we can connect you with local flooring companies. So, how do you measure for vinyl flooring? As you can see in the vinyl plank flooring calculator above, the first step in determining how much sheet vinyl flooring you need is to get an estimate on the size of the room. To do this, just take a tape measure to determine the width and length of the room in feet. Enter these calculations into the flooring calculator above and you’ll have your coverage area. On the other hand, you can easily determine how many vinyl sheets you need for your flooring project without a calculator. Once you have the width and length of the room (or rooms), multiple them together to get the total square footage. Then, convert the square footage to square yardage. Most sheet vinyl flooring is sold by the square yard. One square yard is equivalent to nine square feet. To see this in play, a popular room size is 12 feet by 12 feet. There are 144 square feet in a 12 by 12 room. Therefore, you need 144 square feet of vinyl floors. To convert 144 square feet to square yardage, all you have to do is divide that number by nine. If you’re purchasing two-yard width boards, you must divide 16 by two to determine how many linear yards of vinyl you need for your flooring project. In this scenario, you would require eight linear yards of vinyl floors. To ensure only one trip to the store, we highly recommend you add 20% to allow for waste. Therefore, for this vinyl flooring installation, purchase 10 linear yards of vinyl. What Widths Do Vinyl Flooring Come In? The last calculation you have to consider before purchasing luxury vinyl floors is the thickness. 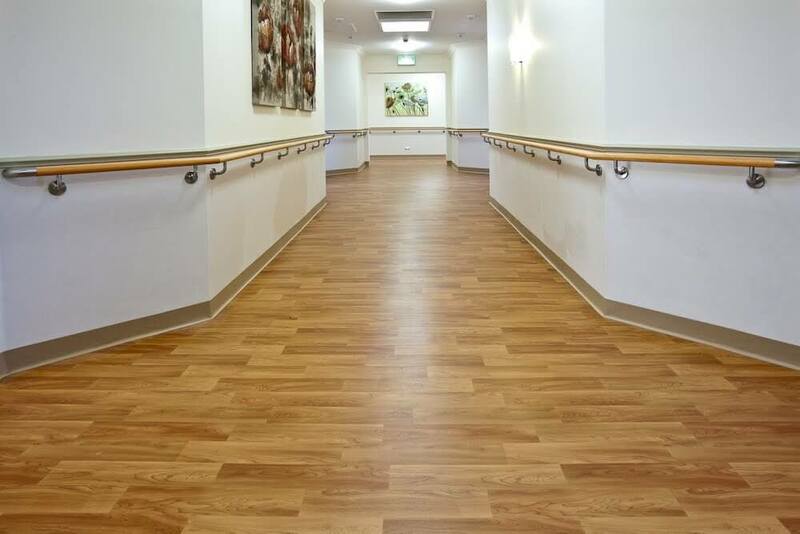 Just like widths, vinyl floors come in a variety of thicknesses. As you might imagine, different thicknesses lend themselves to different scenarios. To start, the thickness listed on the product description does not always match the actual thickness of the plank. In fact, vinyl plank manufacturers often display the wear layer thickness instead. The wear layer lies between the printed design and urethane finish. Just like any material, thicker layers are made for more traffic and, are more resistant to scratching and denting. Of course, thicker layers also cost more. For actual sizing, you have to get used to the metric system. A lot of vinyl if shipped from overseas, so their thicknesses are measured in mils. To ensure you buy the best sheet vinyl floors, make sure your sheets have a thickness of at least 12 mil. However, if you have kids and expect heavy or rough traffic on these vinyl floors, consider purchasing at least 20 mil vinyl planks. You can purchase vinyl planks from a variety of stores such as The Home Depot and Lowe’s. When you determine how much vinyl flooring you need and head to the store, you’ll be met by a few different vinyl sheet brands. Each have a long list of pros and cons, but knowing the basics will surely help you determine the right vinyl for your home and budget. Armstrong: Their planks are not as thick as some of the other competitors, but they keep their choices simple. All you have to do is choose between good, better and best options. Shaw: You won’t have more design and size options with any other brand. Shaw has thin, cheap vinyl floors and very thick, expensive vinyl floors. If budget is not an issue, start your vinyl search with Shaw. 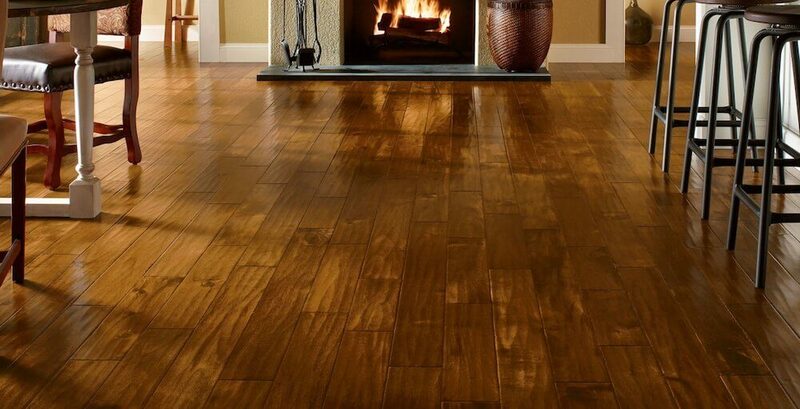 Lumber Liquidators: Their best seller is called Tranquility. It doesn’t meet the standards many of us desire, but it’s very affordable compared to other brands. Mannington: They have an expensive plank, called Distinctive, and an affordable plank, called Adura. If you want to showcase your floors, you’ll need Distinctive. Adura will not meet your design expectations. 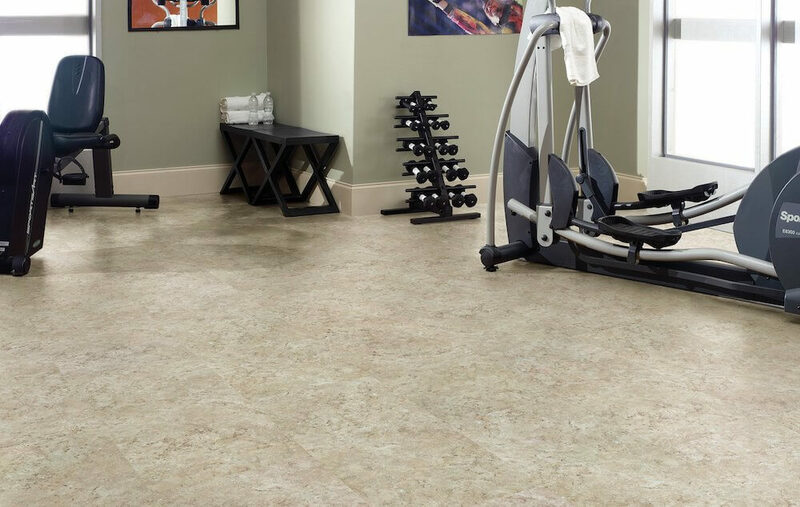 Sheet vinyl flooring is extremely easy to install. Most flooring contractors can install vinyl floors, but DIY-experienced homeowners can install vinyl floors on their own. Cutting vinyl may be difficult, but local hardware stores can help. Unlike carpet, vinyl is water resistant, making it a good choice for bathrooms and kitchens. Water that falls on vinyl won't soak into it as long as the adhesive holding it is in good condition. Vinyl is hard to scratch and gouge. It isn't prone to breakage from impact. Unlike hardwood flooring, it’s generally safe to move furniture across it with basic furniture skids. Finally, vinyl is very easy to clean. Because it doesn't absorb water, most cleaning solutions are acceptable to use. Unlike tile floors, which can easily be damaged by harsh cleaning solutions, there are few floor solutions that pose a risk to vinyl. Installing vinyl sheets on your own is not a difficult DIY project, but it’s a timely one. Beyond cutting exact edges, leveling your floor if necessary and crawling all around the room, you need precision to ensure your vinyl floors look as good as possible. While some homeowners give it a go on their own, given the low labor cost to install vinyl floors, most hire flooring pros. Knowing how much vinyl to purchase, you’re ready to install your new floors. As always, it pays to get multiple flooring estimates. Luckily, ImproveNet helps you find the most reliable flooring contractors near you, for free. for your Sheet Vinyl project.